Are There Silver Foxes in SoCal Forests? On this mid-morning weekday hike, Meyer thought he saw a dog, maybe a Sheltie given the fluffy coat. He was standing a third of the way up the trail. From his vantage point he saw below a black creature wandering by itself, not looking scared, lost or concerned. It was a critter making the rounds. It was all black. 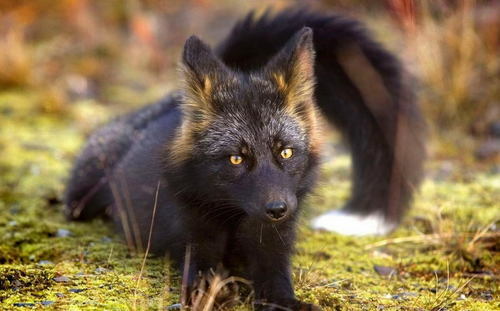 SLEEK FUR — The silver fox is a melanistic form of the red fox. But SoCal silver foxes official sightings or encounters is a big zero. “My CDFW counterpart works with a lot of trappers and hunters and said that none of them have ever mentioned seeing a silver fox,” she relates. “Of course, anything is possible. 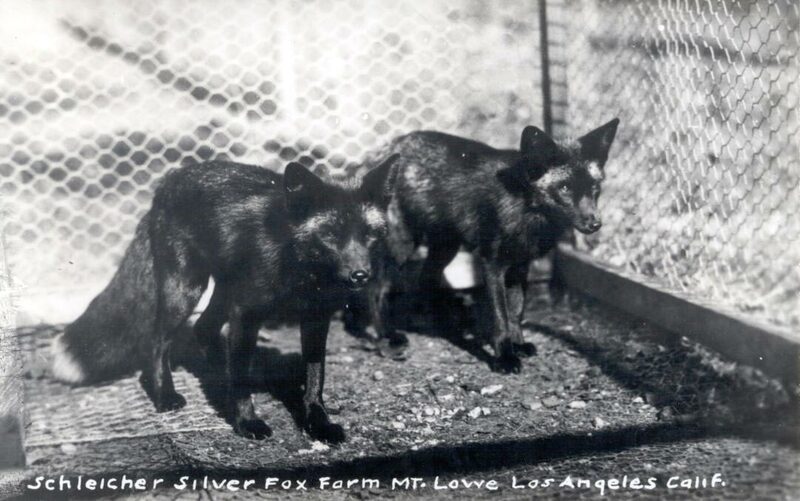 Another theory about Meyer’s sighting involves a chapter of SoCal history when our locale forests were home to tens of thousands of silver foxes. Because of the cool climate, open spaces and access to distribution channels, a thriving fox farm industry burst onto the SoCal landscape in the 1920s and 30s. The Schleicher Fox Farm, a tourist attraction, was located near Mt. Lowe, but most farms were located in the Big Bear area. Fox farming was a Big Bear big business in the 1930s. First in Big Bear was the 48-acre Borestone Ranch started by R.T. Moore of Maine, says Big Bear historian Mark Durban. “Moore’s endeavor was easily copied by his neighbors,” says Durban about the farms that sprung up practically overnight. During the peak years in the 1930s, there were 27 different fox farms in the area, eight of them large, full-time operations. One such farm, All Star Fox Farm, was producing more than 1,000 pelts a year. Farmers could receive as much as $1,100 for one high-quality pelt. To supply other farms with start-up animals, a superior breeding pair could be worth $2,000-$3,000. 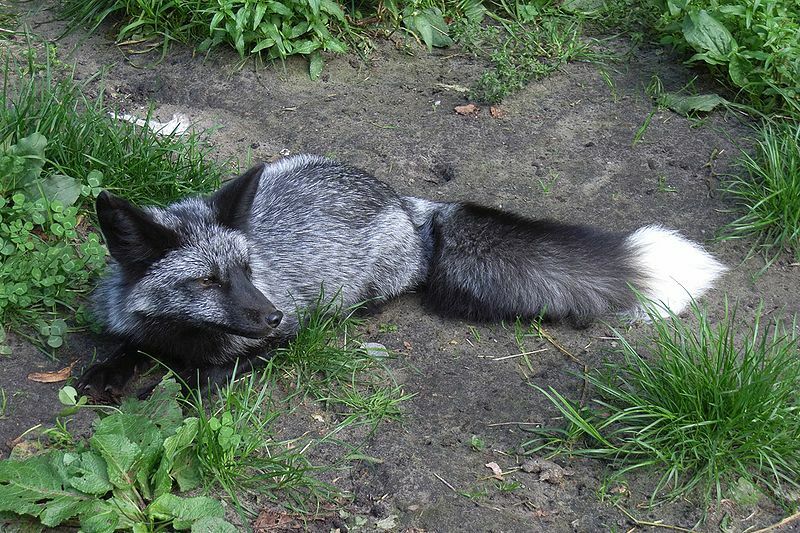 Silver foxes – named for their silver-tipped tails – were genetically developed for farming from the common red fox in the 1890s by two Canadians, Sir Charles Dalton and Robert Oulton. Pen-raised silver foxes, however, were a handful to manage. They required diligent care and feeding; the foxes themselves could be anxious and unpredictable. According to Durban, many farms had “watch towers” where humans monitored the foxes from above. “Some of the old pens are still around here,” he adds. 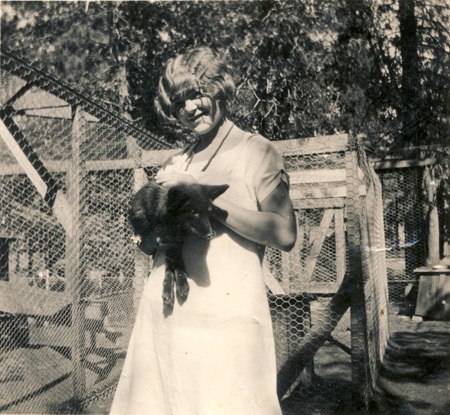 Fox farms were phased out in the late 1930s for many reasons, but most notably from the increased cost of food, a 20 percent luxury tax and the fact that Russia and other countries saturated the world market with shiploads of fur. It’s unclear how the Big Bear and Mt. Lowe fox farms closed their doors. Did they open the cages and let any remaining foxes run free? Did any foxes escape on their own? In 1962, three silver foxes were donated to Big Bear’s Moonridge Zoo, an homage to the area’s once thriving fur farming industry. “There is no way that some of them didn’t escape or were let go,” surmises Durban about the possibility of silver foxes putting down roots and surviving in the SoCal forests. A natural sense of avoidance and secrecy could, in theory, keep these once-prized foxes out of the public eye. And, to stretch the assumption even further, if they did mate with the local gray foxes, maybe they’ve unintentionally bred out their black fur characteristics, so now they conveniently blend into the landscape? STEALTH AND SECRET — The skittish personality of foxes — like this wild one in Washington State — keep them naturally out of sight. The big question: is the SoCal silver fox just a historical footnote or the real deal? The answers, just like the foxes themselves, are elusive. “I’ve seen all sorts of wildlife here: bears, bobcats, raccoons but I’ve never even seen a fox here,” admits Durban about the general secretive nature of foxes. Noted camera trapper Robert Martinez has captured numerous frames of bears, mountain lions, and assorted wildlife in the local San Gabriel Mountains; he has captured gray foxes in his stunning videos, but says he has never discovered a silver fox.